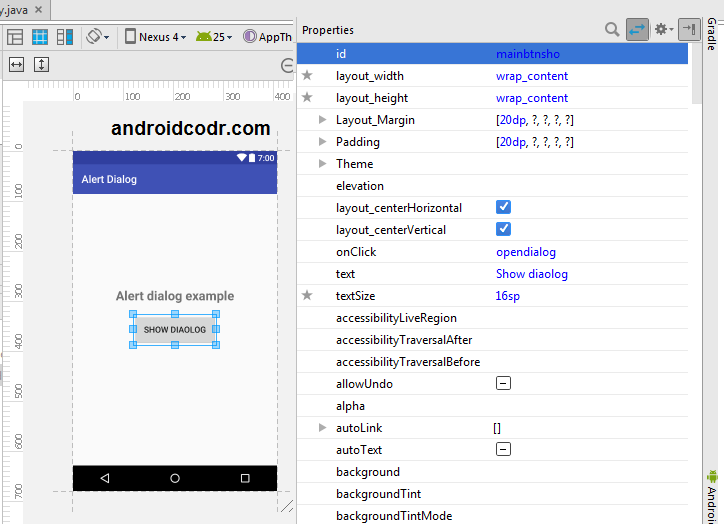 In many Android app you must have seen alert dialog (message box) with ok button and cancel button. 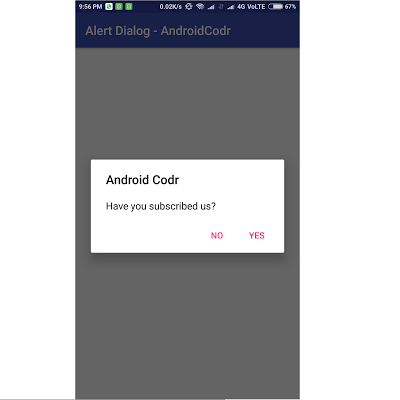 In this post we will see how to interact with user with the help of alert dialog. 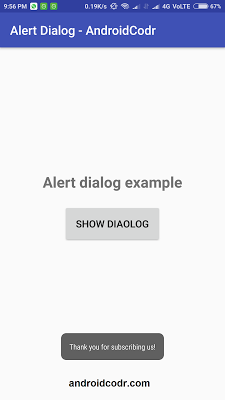 Alert dialog are used to show information message to user. alert dialog may have button one two or may be three. 4. 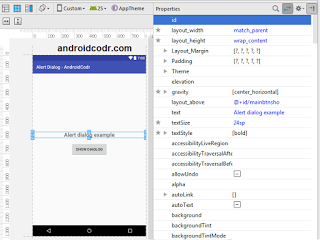 I used package path as com.androidcodr.alertdialog click next. 7. keep Activity name as MainActivity click finish. wait till project load completely. 10 add a button at center of screen. 11. we already have hello world textview. 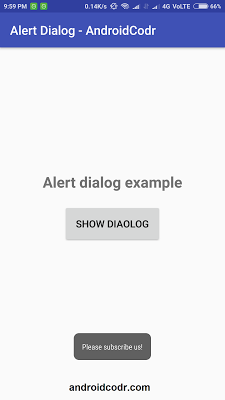 text = Alert dialog example. 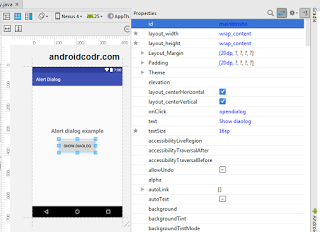 add method opendialog which we set onClick for button. for message call setMessage method. 15. you can set cancellable to true or false. 16. we will add two button to it. 17. 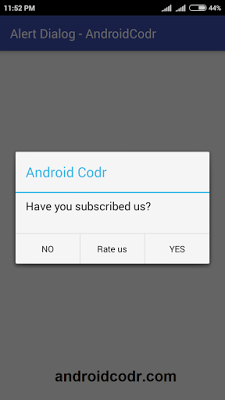 We will show Toast message to user if he press Yes button. 19. We will show Toast message to user if he press NO button. click on show dialog button. 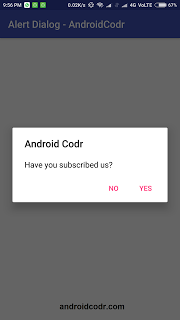 our alert dialog is displayed now. click on no button another toast message is displayed.